Elvis Lives! 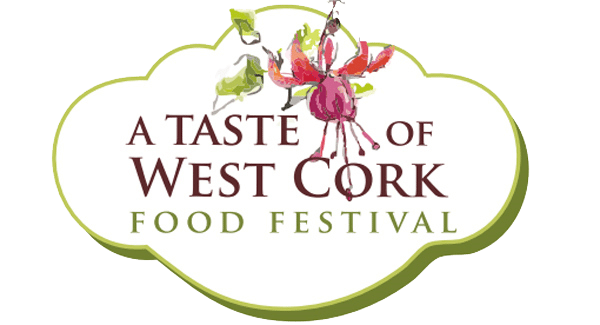 But for 1 night only in Skibbereen on Saturday 26th August. 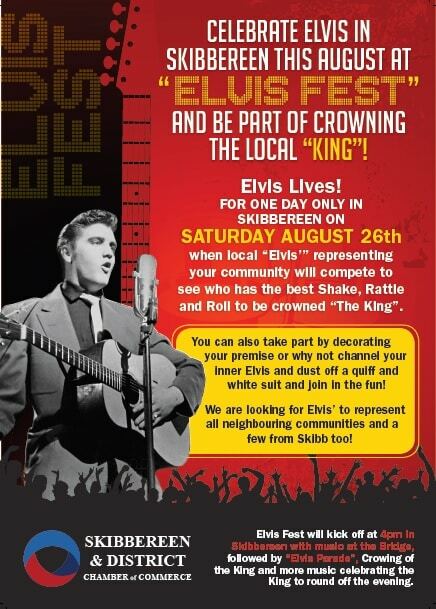 All our very welcome to come along and join in the fun in Skibb as local Elvis’s compete to be crowned “The King”. 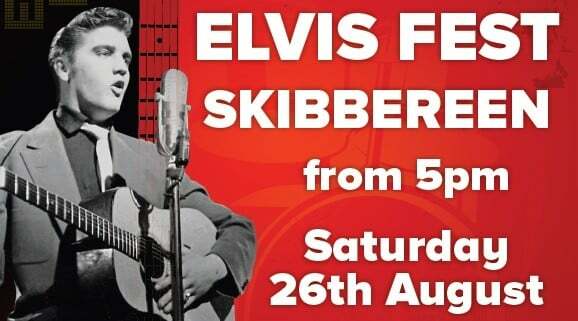 There will be music celebrating Elvis on the Bridge and Main Street that evening from 5pm as well as other amusements and activities for all. Certainly not to be missed is the chance to see some of our local Elvis ‘s who will be competing on the evening for a cash prize and more importantly to be crowned the ultimate “King”. If you want to show off your “Shake, Rattle and Roll” it’s not too late to participate in the fun just register your Elvis by texting or calling 086 2388300. Even if you’re not competing you can still participate and join in the fun by channeling your own inner Elvis, donning your quiff and sideburns and dressing up as we remember Elvis. 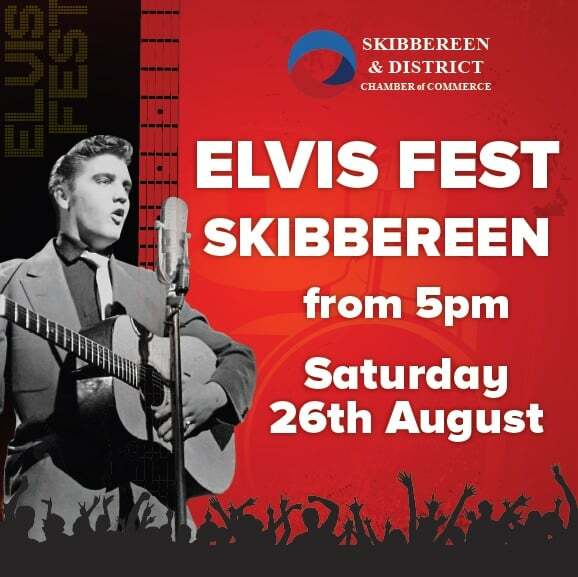 Check out Skibbereen’s Facebook page for all the up to date information.